The award-winning Chef Prasertchai ready to excite the palates of diners with his exceptional Modern Thai dishes, an upcoming Marriott’s guest chef’s pop up event. 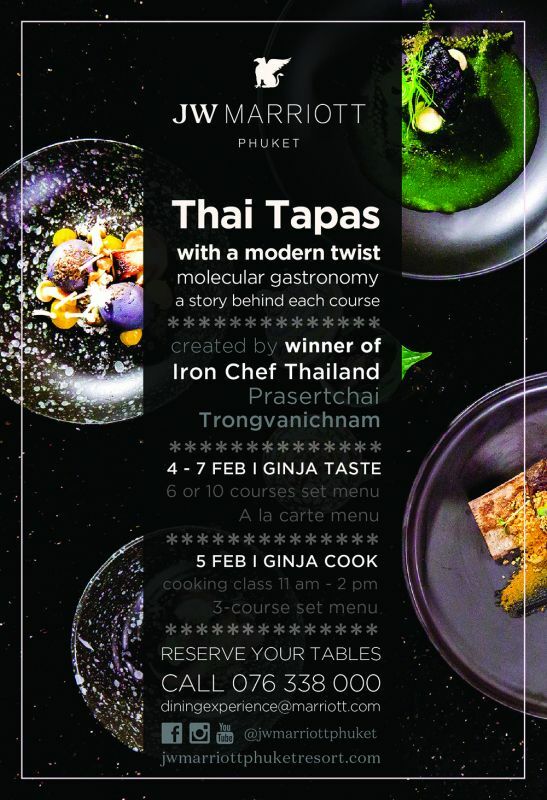 4 – 7 February, from 6.00 onwards at Ginja Taste: Select either 6 or 10-course set menu. 5 February at Ginger Cook, cooking class 11 am - 2 pm for 3 course set menu. Address : JW Marriott Phuket Resort.